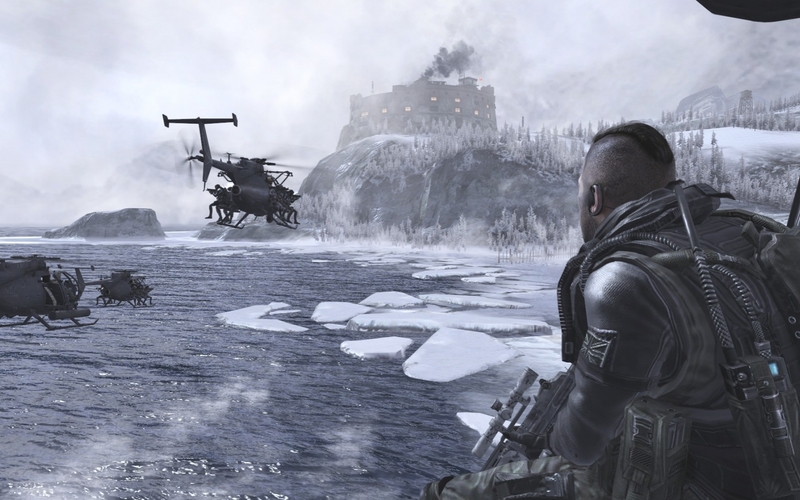 Modern Warfare 2 is a tour-de-force of action. It feels like they took a good Micheal Bay movie and grinded out a game. There are huge set pieces of action that are so riveting that your palms will actually sweat. The game plays like the first one, with some graphical improvements to the HUD. The game is constantly warping you to the persona of various soldiers involved in various conflicts. The story is a little incoherent, however the point is driven across really well. War is hell, no one is a real hero, and everyone is at risk at any moment. Unlike Halo where Master Chief is set up to be the good guy and champions a single handed battle against evil, the lines of good and evil, right and wrong are constantly being blurred here. MW2 challenges you to look at this game as a comment on war. It has the potential to strike plenty of meaningful conversations with those that have played it. It is able to do this while delivering some amazing action and tension. The missions vary from stealth to out right action. It covers this range really well. It has some issues with direction, it tries to be minimal in the way it leads the player along. It wants you to learn and explore. This works well, however it can be terribly punishing to the players. Sometimes you take a route that leads to to a group of enemies that ends in instant death. Other times you take the perfect path and run into one or two baddies. An example of this is depicted in the picture above. This is one of the great levels, you are forced to jockey back and forth between building. You also have to manage targets with the tactical advantage of higher ground, all the while dealing with a barrage of ground targets. This mission alone took me plenty of tries to get through it. Plenty of gibbing, till I filly manged the crowds making it easier to get through. The use of check pointing through out the entire campaign makes the ease of this burden of a little easier. The story plays out much like Red Dawn. Eventually the US gets invading and saving the White House becomes a major mission. The American soil fights also introduces one of the coolest weapons in your arsenal, the predator drone. This is a great little added weapon. The picture above is the start to my favorite mission in the game. You are raiding the Russian Gulag to bust someone out. It plays out a bit like the movie The Rock. There is even a locker room set piece with elevated advantage. I loved it. Overall the campaign took me 6 hours and 35 minutes and netted 235 achievement points. Short, however acceptable. I still have two more pieces of content to sink my teeth into before I am acutally finished. I fear the online play, not because of getting pwnd by some 12 year old, because of the known addictive nature of this experience. If it is even remotely upgraded from MW1, I know I will be bit by that bug and never leave the TV. Spec Ops mode looks interesting, waiting for a buddy to finish it up so we can play that together. All in all the campaign alone is worth the cost of the game. It is riveting game play, tight controls, decent story, and phenomenal action set pieces make this game absolutely worth it. HUD updated to always give you your goal. 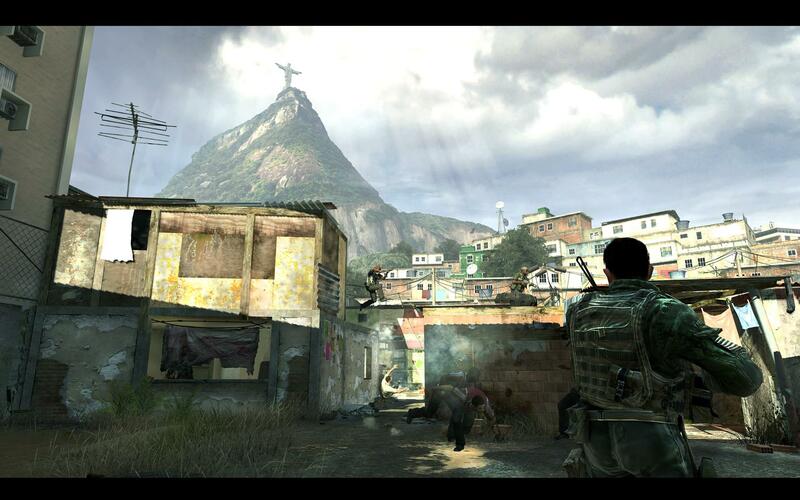 Infinitely Spawning Enemies – Rio is brutal on the ground and suffers severely from this. Inconsistent sense of urgency – some levels pull this off amazingly, other leave you wondering why they are barking in your ear. In the Dark – Sometimes you feel like you are in the dark trying to accomplish a task, or getting to a specific door on a vehicle. I will follow up with a Spec Ops/Online review shortly. This review was based on a retail copy of the XBOX 360 version of the game, purchased by the reviewer. Campaign has been completed by the reviewer on normal difficulty. 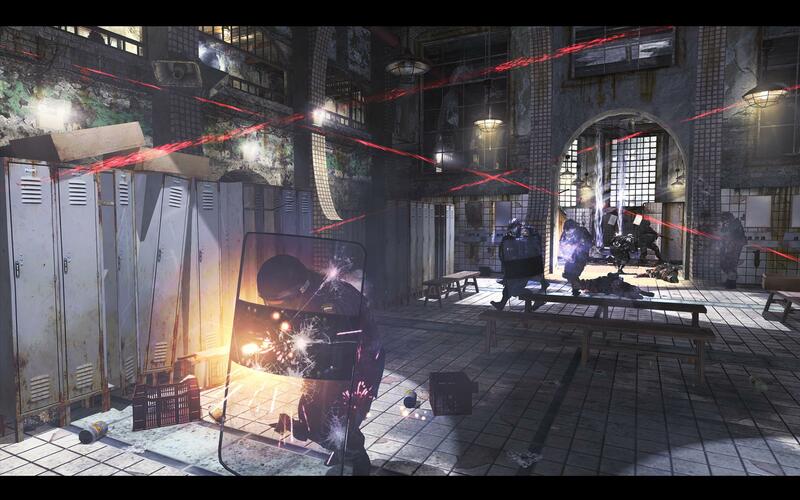 It is available on XBOX 360, PS3, and PC.